Millions of years of evolution gave life on earth a genetic dictionary with 64 words. Harvard University scientists thought they could do better. In an intriguing step toward lab-made organisms, they reported on Thursday that they created a complete bacterial genome with only 57 of those words — and freed up the deleted seven to have completely new meanings that, one day, could include new biological functions. At first glance the advance seems abstruse, promising anodyne applications such as making genetically modified bacteria that resist viral infection. (Those infections are problematic for industries that use bacteria to synthesize chemicals and drugs, costing them billions of dollars a year.) But the experiment, published Thursday in Science, is also a significant step toward a much grander project: recoding life. By “recoding,” bioengineers mean replacing some of an organism’s genetic “words.” The result would be a “genomically recoded organism” (GRO) that would make today’s genetically modified organisms seem as primitive as a Model T next to Audi’s autonomous RS 7. The GROs created so far are groundbreaking yet simple proofs-of-principle, changing a single “word.” This study sets the stage for changing many more, and “rewriting” genomes of organisms including humans, as Harvard’s George Church and other leaders of synthetic biology recently announced plans to do. 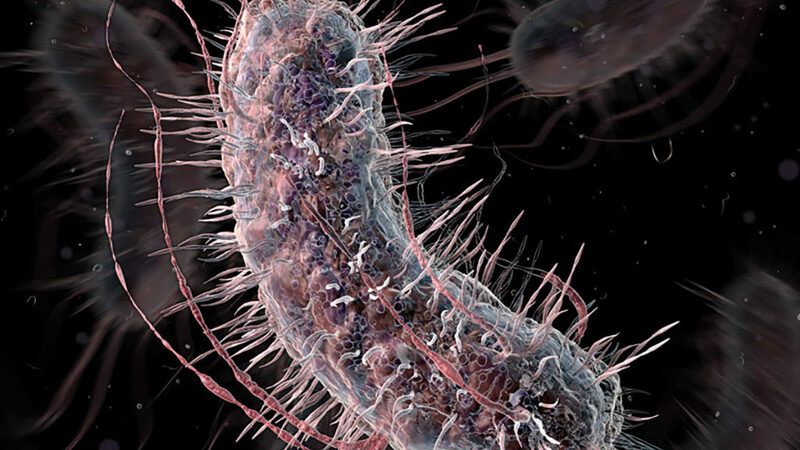 Recoded organisms could have talents evolution hasn’t yet created. For instance, they could make proteins that do not exist in nature, including drugs. Six of the new study’s 21 authors, including Church, are listed as inventors on the application for a patent on designing genomes. Scientists not involved in the new study expressed some concern that it might be seen as achieving more than it actually did. “This is an important advance; that is absolutely clear,” said Dieter Söll of Yale University, an elder statesman of biochemistry and coauthor of a recoding study awaiting publication in a journal. “But I see it as a progress report toward developing a [recoded] strain,” and not the creation of one, since the team didn’t make the freed-up “words” perform new functions. “That will take a lot longer,” Söll said. With 64 codons and only 20 amino acids, the same amino acid can be encoded by multiple codons (up to six, in fact). In a 2013 study, Church and his team eliminated every instance of one codon in E. coli. For this study, they replaced seven codons throughout more than half the genome. The hit list numbered 62,214 regions in the genome. To do it, the Harvard scientists knew they couldn’t use CRISPR, the genome-editing technology that has mesmerized biology: thousands of targets is way too many for CRISPR to edit correctly. Instead, the scientists synthesized and assembled strings of E. coli DNA, each 50,000 letters long, from scratch. That achievement alone suggests it may not be long before scientists assemble genomes of higher organisms, as Church proposed to do for the human genome. He has financial interests in companies involved in DNA synthesis and genome engineering, and is a founder of Boston-based Enevolv Inc., a startup that aims to engineer novel and improved microbes to make, for instance, specialty chemicals and drugs. The goal of recoding is to improve on nature. Church’s team therefore replaced the seven excised codons with new ones, said post-doctoral fellow Nili Ostrov, who did much of the bench work. Tests on more than half of the genome showed that most of the E. coli genome “worked” fine with the replacements. That is the essence of recoding: replacement codons could make new amino acids, including those never seen in nature. “Genomic recoding would allow you to get your E. coli to make novel proteins” that nature never thought of, Lajoie said. In the “Harry Potter” analogy, it’s akin to replacing every instance of “wand” with, say, “pom-pom,” and finding the narrative not only still tracks (the genomes work) but has a new twist (new amino acids and therefore proteins). Recoding could also make organisms impervious to viruses, which insinuate their own genes into the cells they infect. Because recoded microbes will not speak the same genetic language as viruses, said Lajoie, they should be able to stop the viruses cold. Church has cited resistance to lethal viruses as a potential benefit of a recoded human genome. The Harvard team is not deterred. “We’re confident that will go smoothly,” said Ostrov, referring to true recoding. As often happens when a study is published well after it was done, “we’re definitely beyond proof of principle now,” she said, “and are starting to put all [the DNA segments] together” into a fully recoded genome.